For a link to this infographic, click here. For a link to the full study, click here. To read a recent blog post on local search, click here. The numbers 1 through 7 inside the little recycling triangle on the bottom of plastic bottles refer to different resins. All can go in curbside, collection center or retail recycling bins, but #1 and #2 represent 96% of all bottles produced and 98% of those recycled in the U.S. The pounds per capita of plastic bottle consumption in the United States has tailed off in recent years to 2004 levels, just shy of 30 lbs. per person. This isn't because we are using fewer bottles but in part due to the light-weighting by manufactures and bottlers in response to consumer concerns. Some are using 50% less plastic than they did a decade ago. In his excellent book published last fall entitled Drinking Water: A History, fellow-Durhamite James Salzman notes that these bottles are generally made of petroleum, an ounce for every liter bottle. Unfortunately, the free market fails to incorporate full-cost accounting so the costs related to natural resource depletion, Naval patrolling of sea lanes, climate change, and the grinding down of highways by trucks are not factored into costs. If these and other costs weren’t shifted onto an unsuspecting public instead, recycling would be even more attractive and 30% of consumers would possibly be much more diligent when it comes to the 30 million bottles they toss into trash cans each year instead of placing them in recycling bins. It isn’t clear that even the use of full-cost accounting would “turn the lights on” for the 4% of Americans who consciously litter, especially those who cite being in a “bad mood” as the rationale. However, it may inspire the 17% who litter just because they can’t be troubled to find a receptacle. Bottles make up 3% of the litter stream in this country, far less in states that require a deposit on bottles. The effectiveness of these incentives was measured in a study published in a 2010, co-authored by Duke Fuqua School of Business marketing professor Dr. Joel Huber, and economics researcher Jason Bell here in Durham and led by Vanderbilt law professor W. Kip Viscusi. The study revealed that these incentives increase recycling from 4.38 out of 10 where there is no regulation to 6.1 out of ten where there is a recycling law. It increases to an incredible 8.34 out of 10 where there is a water bottle deposit law. In the year 2000, Americans consumed 12 billion plastic water bottles, part of the overall 25 lbs. of plastic bottles consumed per person that year. Within three years that more than tripled. As of 2011, according to a Moore Recycling Associates report prepared for the American Chemistry Council and the Association of Postconsumer Plastic Recyclers, 28.9% were being recycled or 2,624 million pounds nationwide. In my adopted home of North Carolina the rate of annual recovery for plastic containers overall is 27% or 36,046 tons with 95,377 containers improperly put in the trash or littered, a recovery loss of more than $40 million. In 1990, less than 500 million pounds of plastic bottles were recycled nationwide. By 2000 that had increased to 1,500 million pounds but it remained somewhat flat during the three years in which the use of plastic water bottles tripled. Then the amount recycled began a steady climb in 2004, even continuing through the great recession. That’s good news, but the even better news according to Salzman’s book, is that sales of bottled water have flattened since 2009, easing pressure on over-pumped aquifers. Still, in the U.S. alone, more than 30 million bottles of water are shipped to supermarkets each year requiring as much as 17 million barrels of oil to produce. Of the nearly 30% that are recycled, a total of 34% of all plastic bottle material of all types is exported, with 42.9% of the most frequently used resin being shipped to China. Resin #1 is recycled into automotive use, more bottles and pallets, buckets and crates as well as plastic film and sheet plastic. Resin #2, the second more prevalent is is recycled into non-food application bottles such as detergent, motor oil and household cleaners. Colored #2 is repurposed for pipe, composite lumber, decking, railroad ties and non-food application bottles, but even more important than contributing to energy independence or preventing landfill and soil pollution is the contribution of plastic bottle recycling creates in terms of clean water resource conservation. While it takes an ounce of petroleum to produce a liter plastic bottle, it takes three or four liters of water according to Salzman. Even oil billionaires such as T. Boone Pickens see water now and into the future as our most precious resource. For as long as I can remember, I’ve always been a “lake” person. My favorite destinations have always been water-side. Rivers and coastal beaches are fine as were the much smaller cruise ships of the early 1980s, but for me there has always been nothing better than going to a lake. There are about 1477 vacation lakes and reservoirs in the United States. Extrapolating from data collected on the 422 that are operated by the U.S. Army Corp. of Engineers, there are about 1.3 billion visits to these lakes each year involving more than 3 in every 10 Americans. It is possible that lake visitation rivals the 120 million Americans who visit coastal beaches and lake visitors stay slightly longer. This is why the State of Michigan is so alarmed that Lake Michigan is two feet lower than normal, due to climate and geologic change, which could be disastrous for its tourism economy. Curiosity about my lifelong preference for lake weekends and vacations may have been responsible for my early 1970s embrace of then-ground-breaking demographic-psychographic research by Dr. Stanley Plog, a social psychologist at UCLA, who passed away a year after I retired. Plog was already famous by that time, as you will learn in a new book that will be released in a few weeks entitled The Making of the Great Communicator by Dr. Kenneth Holden. Together, he and Plog rescued the the political career of Ronald Reagan, after it began to tank only a week after his announcement in early 1966 to run for the office of Governor of California. The book will also explain how they turned a Governor into President of the United States. Many in the 1970s at the dawn of my career in community-destination marketing (DMO) as well as today grossly generalize Plog’s psycho-centric/allocentric classification of visitors and destination appeal. They make the mistake for focusing only on the extremes which account for only 3% to 4% of travelers. There are actually six visitor classifications along Plog’s bell curve. I suspect that lake visitors are near the center but on the psycho-centric side. They seek authenticity, serenity and time for reflection when they travel. Destination communities have a life cycle. As Plog recounted for Cornell Quarterly at the turn-of-the-century, the objectives for a destination is to aim for the center of the curve but slightly to the venturer or allocentric side. This is when they are genuine and authentic and distinct. The challenge is to stay focused on place-based assets rather than too-slick facilities that make look and feel more like other communities and consequently, less distinctive and appealing. The danger is either becoming mundane and generic or too slick and generic. Unfortunately, as a destination reaches popularity, some developers are often already pushing it too far in one direction or the other. This is where it is so critical for a DMO to defend a community’s inherent brand and unique-sense-of-place. Fortunately, Durham, NC where I live and formerly practiced community marketing has been hitting the sweet spot in Plog’s curve for some time now. But forces that threaten to erode its authenticity, however well-meaning have been evident since the mid-1990s. Famed for its distinctiveness, there are equally powerful influences and interests pushing this community it to be more mundane or to be the Energizer bunny but either way more generic and less distinctive. I cringed recently when I read the following in the mission statement of the DMO for a major sunbelt city: “Conventions are the lifeblood of any major city.” Really? If a community thinks that overly obsessing over just the 1 in 10 visitors who might travel to their community just to attend a meeting that rotates each and every year to a different community is their “lifeblood” then they are probably already in decline as a destination and destined soon to be mundane. Visitors in general can certainly be the lifeblood of a community. It is good to seek a full share of each travel segment - including conventions - but to over-rely on just one type is a formula for a decline into generica as a destination. Of course, today, data is providing much better tools than Plog’s classifications. Soon DMOs will be able to rely on predictive analytics to far more effectively identify and draw visitors for which their community is best suited, visitors who will sustain their community’s distinctiveness, visitors who will incentivize their communities from becoming mundane or too slick. The best explanations of what predictive analytics is can be found in the writings of Dr. Tom Davenport, currently a visiting professor at Harvard Business School and in a newly published book by Dr. Eric Siegel entitled Predictive Analytics. Siegel is a former Columbia professor and executive editor of The Predictive Analytics Guide. More on this later but DMOs such as the highly-acclaimed one where I live will be light years ahead of others as this new tool becomes more practical because they have been practicing data-based decision-making for decades. Maybe predictive analytics will also serve as an aid in the future so that communities make only those development decisions that foster their sense-of-place and distinctiveness. Judging from the unkempt landscaping around a city-owned building I frequent in Durham, NC where I live, management exhortations about appearance haven’t yet been translated into action. Ironically, the facility houses a department responsible for not only all city facilities, but crews for roadside clean up and maintenance as well beautification efforts and urban forestry. I sympathize, because I imagine it isn’t easy to marry care for the natural environment into a culture long-dominated by buildings and hardscape. It is another irony that so many of those responsible for a community’s “curb appeal” seem blind to its correlation to a healthy, growing tax base. Apparently, they can’t see the forest for the trees (smile.) At the very least, they have not pieced together that it has the very same connection as it does to the value of their own personal property. The neighborhood association where I live was recently forced to secure private grants and other funds to landscape around a city facility where I vote. The historic building had just been renovated using voter-approved bonds but apparently that neglected to incorporate any re-landscaping or curb appeal. Although much hype has been given to Durham being designated a Tree City USA each of the past 30 years, much can also be read into the city’s failure to participate in an urban forestry survey conducted by the U.S. Conference of Mayors (USCOM,) the results of which were published in 2008 at the dawn of this past recession. Durham is one of 70 cities and towns in North Carolina to earn the Tree City designation, second only to Charlotte among the state’s major cities in terms of tenure. 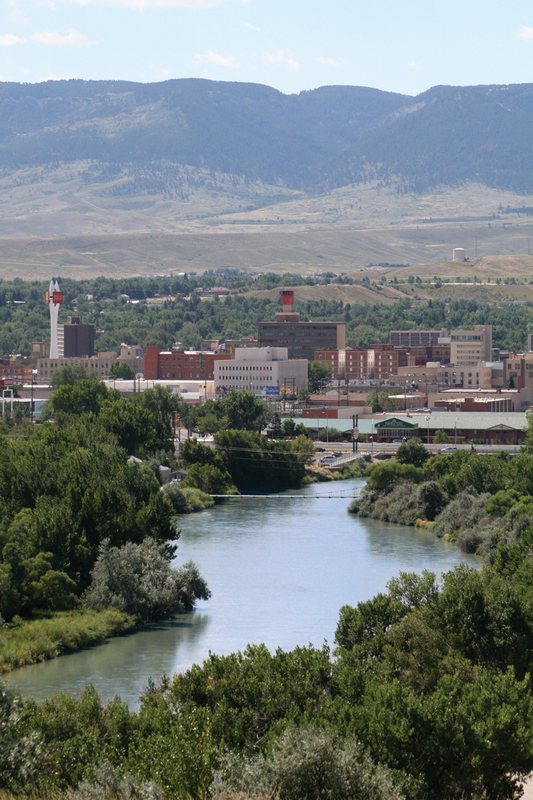 More than 3,400 cities and towns nationwide meet the criteria. Indicative though of a lack of passion, is that only 135 took the time to respond to the best practices survey by USCOM. One stipulation is that a community invest $2 per capita in managing its urban forest, a benchmark that seems hardly sufficient and in Durham results in planting only 350-400 trees a year, the number needed each and every day to just hold even. More than 8 out of every 10 Americans live in urban areas, while more than 6 in 10 live in communities the size of Durham or larger. But urban forestry is much more imperative for Durham, which is North Carolina’s fourth largest city shoehorned into the 17th smallest county by land area. Already Durham has fallen below the state average of 48.2% for urban tree cover and 50.3% for the county as a whole. This is unacceptable given the importance residents place on trees as a signature element of Durham’s sense-of-place, their importance to economic development and other documented social, health and cultural benefits. Those responsible for Durham’s urban forest are highly trained in forest management but not necessarily in advocacy. Because of the stoic “stiff upper lip” nature of many in that profession they may even do a disservice to their cause. As all too common in urban forestry circles, Durham foresters narrowly restrict their accountability to trees along streets and on other city land but they know better. As noted in the excellent 2010 report led by forest researcher Dr. David Nowak, overall urban forest management has been hampered by failing “to consider the surrounding ecosystem” including urban, mixed and rural areas in the overall community. What the report calls a coordinated multi-jurisdictional effort that covers both the city and county of Durham including authority for foresters to operate in and address residents and commercial entities in both incorporated and unincorporated areas. A complete inventory of the urban forest in both jurisdictions, not just trees located on public property. A comprehensive urban forest management plan that embraces a strategy somewhere between zero-loss and regaining optimal forest levels including incentivizing private property owners. But they are somewhat futile in the absence of an urban forest management plan. It is time for Durham to get serious about green infrastructure, before it is too late. Last week I looked into the eyes of tomorrow’s community-destination marketing (DMO) executives and the future is very promising indeed. Old enough to be the grandfather of most of these students, I had several reasons for jumping at the invitation to drive up to Appalachian State University (ASU) to share the background that shaped my understanding of community marketing and what I see as the future. I’ll blog more about my observations from that presentation in the future, but during my drive, it struck me that before I was recruited to jumpstart Durham, North Carolina’s DMO in 1989, I had little awareness of this part of the country nor to my knowledge did I have any roots here. 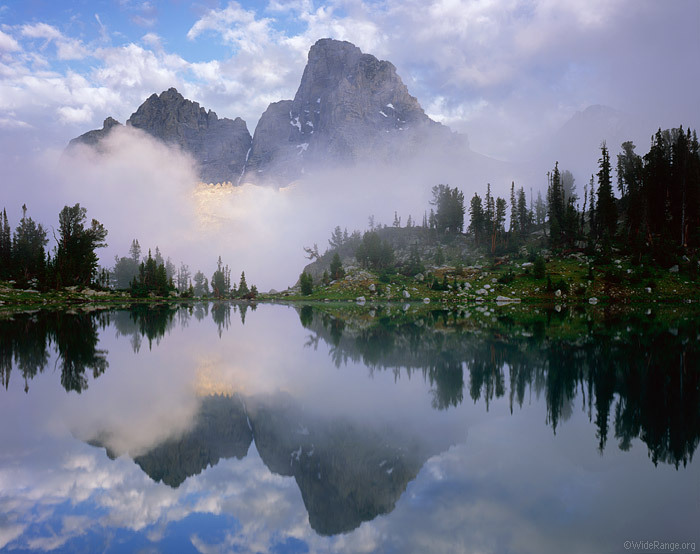 I was born and spent my early years in the Yellowstone-Teton nook of Idaho, and by then had lived and worked in five other states. However, I had never lived east of the Great Divide until I moved to Durham, unless you count a month or so in 1967 along the French Alps, the southwestern tip of Switzerland and Provence. I’ll be tempted to shoot across US Route 58 along the Virginia-North Carolina border past Martinsville to the Blue Ridge Parkway. But I want to see more of Henry County. which I know from family history research that one of my maternal great x 5 grandparents named Shelton had petitioned to create in the fall of 1776. One of our ancestors in that line had paid for the legendary Patrick Henry’s schooling. In less than 14 miles, I’ll pick up the Blue Ridge Parkway heading southwest and ride it a little over 100 miles down to Boone, North Carolina, the home of ASU. On my right as I ride will be valleys I know now were settled by another set of maternal great x 5 grandparents named Messersmith. 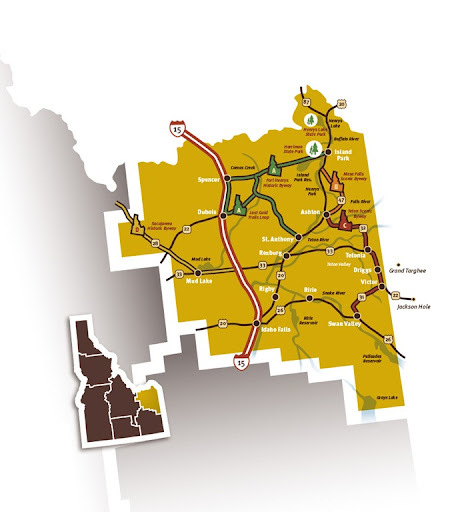 Overall the mileage on this route won’t be that much more than driving Interstates. However, this scenic route with personal connections will take twice as long. If I leave by 7 a.m. I can still be at ASU by noon with time to stop for breakfast. On the way home, I may drop down through Blowing Rock along two national forests to NC Highway 228 where I will take the 29 mile ride crisscrossing the origins of the Yadkin River, the state’s longest and past W. Scott Kerr Reservoir before heading east again. My route home will continue northeast past Hanging Rock and then dip down to Guilford Courthouse where my paternal great x 4 and 5 grandfathers settled in 1776 after emigrating from Northern Ireland through Baltimore. They immediately enlisted in North Carolina units to fight in the American Revolutionary War. Different than when I moved here nearly 25 years ago, I now realize that a significant part of my roots had been here all along. Maybe that is why this part of the country remains home even in retirement. To view Mark Fidelman’s post of this infographic created for PGI.com, click here. Shopping in stores is increasingly frustrating. Saturday, I stopped by a Home Depot in Durham, North Carolina, where I live, to buy some garden supplies I couldn’t fine at my favorite store for those items, Stone Bros. and Byrd. While I was there I spotted some pillows and an area rug I needed but was told the rug would need to be ordered. I waited for nearly an hour while the diligent person helping me was obviously stymied though saying little and resistant to suggestions from co-workers. This person also stubbornly resisted asking her supervisor or a manager for help. Finally, a work-around appeared to work and I paid with assurances my sales assistant would call the rug manufacturer on Monday to be sure. Late Monday I received a voice mail telling me that the order was unsuccessful and I should order the rug myself online, losing 48 hours for my patience. The infographic, left, ranks retailers that shoppers visit before going online for cheaper solutions. Not surprisingly in light of my experience The Home Depot ranks #2 for men. Retailers call this “showrooming” but as I learned, it isn’t just an issue of price that drives people online. For me, more often it comes down to availability and customers service/staff knowledge. That’s why I wasn’t surprised to see Target at #8 on the list overall. Target is great for what they carry but there seems to be no rhyme or reason to what they carry and what they don’t even within a particular line of products. I’m sure what buyers do to stock these stores is as much art as it is algorithm, but it seems people who do this for Target are either behind the times or in too much of a hurry to take time to distinguish between options among products. It is frustrating to drive all over town in hopes of keeping folks employed and securing sales taxes to support local services only to have to come home to order online, usually receiving it the very next day. Last year analyst BIA Kelsey projected that local mobile web searches will surpass those performed on desktop PCs by 2015. This further builds on analysis a year earlier that noted HTML5 technology will mean that mobile websites, such as Durham, North Carolina’s will soon outpace apps. In a new survey marketers agree. Local searches are important because Google analysis revealed they make up 70% of all online activity and a joint study just released by Google and Nielsen reveals that for many categories, the shift to mobile may be accelerating even more quickly than could be foreseen just last year. These searches are important to communities because because nearly all business travelers including those attending conventions and 72% of the much larger leisure travel segment use mobile devices to obtain information during visits. Unfortunately, less than 6% of the websites for small and medium-sized businesses and organizations are currently optimized for mobile. Nationwide, the 94.5 that don’t are losing out on an estimated $24.3 billion. Those located in communities such as Durham are fortunate because the DMO’s mobile website provides easy access for residents, commuters and visitors to comprehensive, curated information on thousands of businesses, organizations and facilities even if they do not have a mobile site of their own without the need to search category by category. But the sea-change to mobile searches is becoming even more important to a community’s business climate because the new Google-Nielsen study shows they are more likely to be followed up by immediate action, as high as 55% within an hour. Other studies have shown mobile searches are twice as likely to result in action but that gap appears to be rapidly widening. Businesses at one time relied on 800 numbers as a means to make access convenient for those without access to phone books etc. but today, more than six out of ten mobile searches result in a phone call, according to Google. Local phone numbers are now more likely to get a click through than national or toll-free numbers and yet even on their regular websites, 49.4% of small and mid-sized businesses and organizations fail to have it on their home page. Nearly 94% fail to display a contact email address. Here again, those based in communities where they are listed on a DMO desktop and mobile optimized website are sure to have local numbers listed and the DMO serves as a concierge to answer questions and to facilitate referral. The Google-Nielsen study doesn’t appear to include visitors to a community unless they are shown under “on the go use” outside home and work. But the study does provide insight into how visitors may be using local searches. As examples, I’ll highlight findings for restaurants and shopping, by far the two areas with the most visitor activity participation, along with arts and entertainment, one of several activity areas important to visitors. Local searches involving restaurants are 53% initiated via web browser and via an app 43% of the time. Nearly 80% are purposeful vs. random searches. More than half click on links or then visit to a restaurant with 30% making a purchase. Local searches for shopping occur via web browsers 56% of the time with 38% accessing via an app. Nearly 68% are by intent and 21% random searches. More than half result in click-throughs with 24% visiting a store and 25% making a purchase. Mobile shopping queries are twice as likely to be in store. Local searches for arts and entertainment are done 56% of the time via web browsers 56% of the time with 38% accessing via an app. Nearly 30% came on the item randomly and 28% out of need. More than 60% clicked on links, 11% visited the physical location, 21% shared the information and 9% made a purchase. Sites such as Durham’s mobile-specific aggregator make searches more convenient, with the added benefit that searches for one purpose such as an arts events are more likely to see other activities that are available such as dining and vice versa. In 2012, a billion people globally used mobile devices as their primary internet access point. In the U.S., 95% of smartphone owners conduct browser-based searches, 82% once a week or more. The new study emphasizes again that regardless of how visitors or residents initially access content, e.g. a print visitors guide or a desktop, they want that information to be portable and accessible across other platforms including mobile. The shift to mobile search also adds to the importance of community buy-local efforts. Eight out of ten dollars in household budgets are spent within 50 miles of home. It is estimated that US firms lose $50 billion a year because of problems with localization. The genius of the web is that localized planning can be spontaneous and activities tangential, which is more the way people live even when they are visiting a community. This also results in more spending and a more authentic experience. With the migration to mobile web searches from apps underway, it makes sense both for travelers and communities for DMOs to create a mobile-optimized website rather than an app. Even frequent travelers to a destination can simply add a mobile website to their home screen so that it appears much like an app for ready reference, but forwarding the website and selecting home screen. Savvy community-destination marketing execs are taking heed. 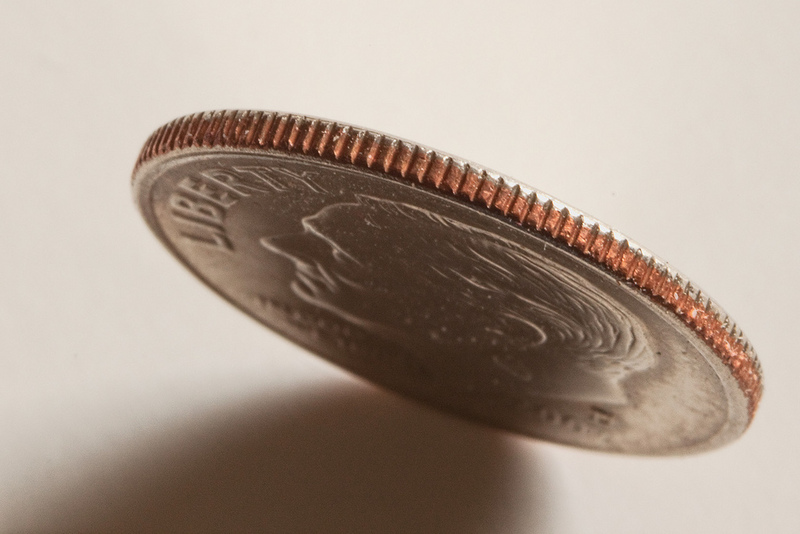 I think of community marketing is a “coin” with two sides. Unfortunately for their communities, many community-destination marketing arms (DMOs) completely ignore one side of the coin. They prefer to focus only on pushing out an endless number of positive messages. The side that a vast majority of DMOs miss the boat is what we used to call “corrections” during my now-concluded 40-year career. Little known is that this strategy was key to the image turn-around among external audiences for Durham North Carolina, generated largely between 1993 and 2000, following the launch of its DMO. “Corrections” were controversial at the time, not only because so few had the stomach to perform one but because some felt it would backfire. Having always represented “underdog” communities during my career, I somehow always knew this aspect was crucial as far back as the 1970s. More and more research since then has revealed that not only does this strategy work, as we learned back then empirically, but it is an essential element of marketing. Thanks to the proliferation of social media, “corrections” are now essential not only to stem stereotypes and misinformation that occasionally may infect news reports, but as a means to mitigate the corrosive effects of some epitaph-laden “reader comments” posted to stories. For far too many still, marketing is appealing as a profession because they perceive it as a haven for extroverts with little need to deal with critical thinking or unpleasant issues. Not only are these individuals in for a surprise but too often, given positions of leadership, they seem to throttle down the effectiveness of some marketing organizations, including many DMOs. These myopic marketers only see and address one side of the coin and as such, potentially add to the problems and issues marketing is best able to address. Take just the isolated element of advertising for instance. It makes no sense to utilize a medium that turns off many more prospects than for which it will appeal, such as outdoor billboards, but some DMOs still do. It is easier to throw positive messages out there as opposed to tackling troublesome issues head on. A DMO that only sprinkles positive messages into the perceptual landscape fails in its role as the primary guardians of a community’s brand or personality. Thus these “one-siders” also fail to reap a community’s full potential from visitor-centric economic and cultural development. Most people who are dissatisfied with their community’s DMO performance realize it should be addressing both sides of the coin, while if it already does, there always seems to be a few who still seek to restrict it instead to only Pollyanna pursuits. In most cases “corrections” involve correcting facts and providing perspective but the Internet and the proliferation of “reader comments” that are then picked up and re-posted, has made this task even more crucial. This activity is now called “reputation management” and a book was even written about it a few years ago entitled Wild West 2.0. Even the largest marketing budgets can ever hope to outrun the need for corrections. In fact, unaddressed, they make the impact of positive promotion moot. A study by researchers at the University of Wisconsin recently published the results of experiments conducted in 2012 to measure the influence of “uncivil comments” by readers and found they “not only polarized readers, but they often changed a participant’s interpretation of the news story itself. In the U.S., 60% now list the Internet as the source they consult for information about scientific issues, far more than any other source. For many the scientific data is undermined by epitaphs in unsubstantiated reader comments, especially if left unaddressed. A few months before I retired, I discovered the then-two-year-old publication that was christened as Pacific Standard (PS) last year. It rapidly become one of my favorites as a source of balanced information on a wide variety of topics. It is well worth a subscription. A few weeks ago, an article in PS appeared by Dr. Seth Masket, a political science professor at the University of Denver. His article brought to my attention the results of a new study by researchers at Berkley and Michigan that should be a must read for members of the General Assembly in North Carolina, where I live. Provided slim majorities only by the swing-votes from Independents, Republicans who now control both the legislature and the governor’s office here are under the misimpression they were granted a mandate to create havoc or as they oxymoronically call it, given that most call themselves conservatives, a revolution. The study documents how politicians can become so detached from the opinions of the constituents they represent. It explains how legislators here came to surrender billions of dollars worth of trees to out-of-state billboard companies even though it was over-whelmingly opposed by constituents regardless of political affiliation. It also explains how local officials where I live can ignore urban reforestation and support for better aesthetics even though these have deep support among residents. DMOs are no less vulnerable, especially if they track only the viewpoints of strategic partners or local officials and fail to track the opinions of residents in general, who are their most important stakeholders. The same is true of marketers who fail to address both sides of the coin. The newly released report commissioned from The Futures Company by IHS is a unique culling of existing research coupled with long-term trend analysis to provide a window into the next decade of travel, entitled The New Kinship Economy. One discussion is about the coming of the “invisible traveler.” I’ve taken trips such as this already, where from researching the trip through making arrangements including selection of restaurants and things to see and do is done with little or no human contact. This will soon include ordering off a menu or using apps such as was tested during the Olympic Games last year where guests could control in-room TV, air conditioning, lights and music from their personal devices. Soon, this will include check-in and check-out. 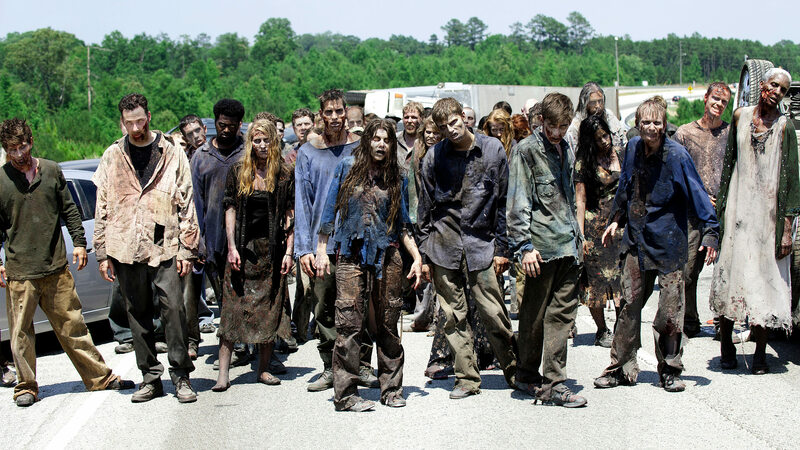 Even much of clearing security at airports will soon be automated, making energivores (energy vampires) such as extraverts even more desperate, often seeming like the “Walking Dead” of travel searching for fellow-travelers from which to drain energy. Other reports predict that mobile destination websites such as one developed by Durham, North Carolina, where I live, will soon overtake apps. Unfortunately, many misguided hotel companies hire third parties to reinvent the wheel rather than rely on local destination experts. This results in misinformation or outdated data and a great deal of inconvenience for the traveler. It also reinforces the notion that hotels are so often unfamiliar with the destination communities that are the reasons their guests are staying with them in the first place. Another warning in the report for businesses such as hotels is that travelers will seek even greater “authenticity” in the future. By this they mean experiencing the community as locals do, not as some global chain working through unfamiliar third-party vendors see it or as conveyed by non-resident front desk staff. Travelers should not have to fight their way through this obfuscation, as they have for many years now, to tap into a community’s destination marketing arm (DMO.) However, only 50% of all websites have mobile versions such as Durham’s including a much smaller proportion of other DMOs. DMOs need to move as rapidly as possible to content delivery that is portable across different screens including, for the 10% of visitors who rely on official print destination guides, the ability to access those digitally as well. If hotel companies are worried that all DMOs won’t be as forward thinking and comprehensive and place-based as Durham’s is, they need to find a way to incorporate and relay truly authentic and official local information whenever it is available and only resort to third-party vendors when it isn’t. This excellent report by The Futures Company also notes that by 2023 [in less than 10 years], there will be 1 billion people over the age of 60, many of them invisible travelers such as me. In the the U.S. spending by the 65 plus age group (of which I will be a member in a few months) will double by 2030 from $1 trillion to $2 trillion, overshadowing the 35-44 age group. Kudos for IHS for commissioning this strategic tool from The Futures Company and for sharing it via content marketing. Some people only see that I am going about retirement with the same intensity that has always been my trademark, holding to self-imposed rituals about learning and adaptation while continually perusing a variety of very new challenges. Reflection now is much different than the times during my life and career when I would occasionally find myself replaying an interaction over and over looking for what I could have done differently, sometimes at the expense of a good night’s sleep. I felt this in myself from as early as I can remember possibly dating to pre-school when my maternal grandmother would serenade me at the piano with My Funny Valentine. I know that from the time I was between the current ages of my two grandsons, Patsy Cline was a soothing soundtrack until her death in a plane crash when I was age 14. Her 1957 rendition of Walkin’ After Midnight is also a perfect illustration of country music’s unique ability to give even sad songs an upbeat tempo. I remember the way Rick Nelson’s Lonesome Town resonated at age 10 and still does today as well as the impact of Teen Angel the next year. Frozen in a memory from a year or two later is laying close to the speakers of my parents console listening over and over with the volume turned low to Gene Pitney’s Town Without Pity so no one else could hear. And then when I was a rising 16-year-old came the iconic Yesterday and Heart of Stone as a backdrop to the escalation of the Vietnam War in 1965. It was also about then that melancholy as protest came into my life when I first heard Bob Dylan’s interpretations of his own songs. Reflection now in my mid-60s, is looking back without regret, but through a lens that affords time to see what worked and what didn’t to this stage of my life. I now celebrate what I often failed to take time to celebrate at the time and acknowledge things I wish I had done much differently. I marvel at how fortunate and blessed I am. I come from a long line of “stiff upper lips,” which may be why I failed to properly grieve a devastating loss many decades ago. I remember a particularly useful book I read at the time entitled something like The Art of Being Alone or The Art of Loneliness but in reflection now, I realize rather than fully endure the pain involved in the steps of the grieving process, I skipped over some. Looking back, I never got to to the step of acceptance of that loss until recently. I thought I did back then. Others thought I did because I quickly turned the sadness and anger into something positive rather than self-destructive. I know now in reflection that skipping steps in the grieving process is a mistake that I’ve gone back to remedy. One thing I fully embraced so many decades ago from reading that book on loneliness is how easy it is to confuse loneliness with solitude. According to an essay by Hara Estroff Marano, a long-time editor-at-large and journalist for Psychology Today, the former is a negative state marked by the sense that something is missing. You can be lonely in a crowd. “Solitude is the state of being alone without being lonely. It is a positive and constructive state of engagement with oneself. Solitude is…a state of being alone [or in the company of another] where you provide yourself wonderful…company. Best friends have always understood my need for solitude. Rather than dismissing it or trying to distract me, they willingly join me. It is also the state in which I worship and give thanks. Anyone who reads this blog with any frequency knows that for several years I’ve been a fan of Tom Fishburne, the founder and CEO of Marketoon Studios. His daily blog illustrations about marketing should be a must read for non-marketing folks, especially those who think they know all about marketing. Next week Tom is presenting to a gathering of marketing chiefs for community-destination marketing organizations (DMO,) many of whom get it. More importantly, next month he presents to a forum of my former CEO peers for these organizations, far too many of whom are still stuck in old models of marketing. For anyone who is interested in some of the concepts Tom will probably illustrate during that DMO innovation conference, click here to read a presentation on marketing he was asked to give at Google last fall. I particularly liked the part of his presentation to Google when he illustrated why “the best marketing doesn’t feel like marketing.” This is particularly salient insight for public officials and many involved in other aspects of economic development who still think community marketing should be about big, glitzy ad campaigns or mega-facilities and events. This type of thinking was discredited even before my now-concluded 40-year career in visitor-centric economic and cultural development began. Unfortunately, it is still being perpetuated in some circles even today by people who assume they are expert at everything and close themselves off to new information. People often make the mistake of thinking that data and intuition are mutually exclusive, as the recently-fired CEO of Groupon did in his farewell letter. The newest SoDA survey of both client-side and agency-side marketers finds that while 54% cite data “analysis” as the biggest challenge, 49% find “creating value and insights” from data the biggest challenge. I’ve been mistaken in my impression that it was during my time marketing Anchorage, Alaska in 1980s that I first began to use research to glean insights during my now-concluded 40-year career as a community-destination marketing executive. When we jump-started Durham, North Carolina’s marketing arm 1989, we made data-based decision-making one of two core strategic pillars of the organization. It helped Durham leap-frog and stay ahead of much more established competitors. However, while reading a new book entitled Red Thread Thinking written by Debra Kaye with Karen Kelly, I realized that I actually started using data as a means to glean insights and spur innovation much earlier, maybe even earlier than I did when helping to jump start the marketing arm for Spokane, Washington in the 1970s. 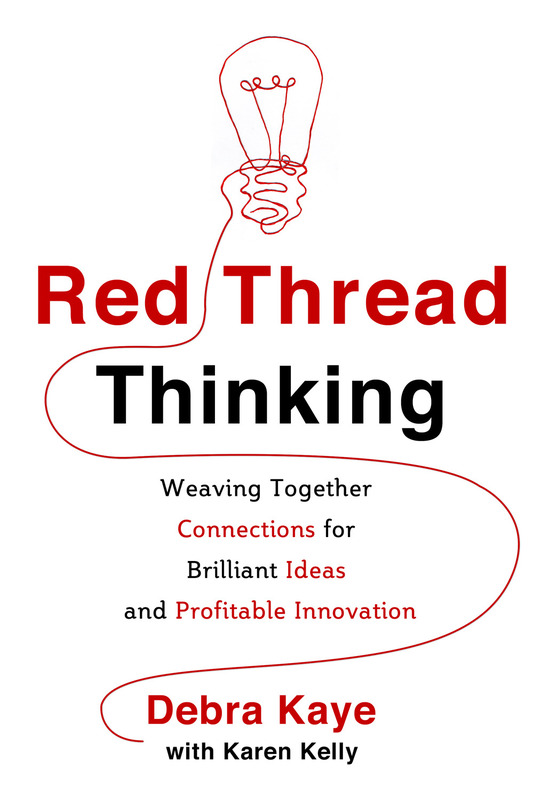 Red Thread Thinking is about weaving together connections as a means to innovation. It helped me understand why a college degree in history came in so handy during my career in community-destination marketing. In particular, she advises digging back into the data behind old reports and summaries. The kind of search should go back as far as possible with the objective of looking for connections or insights and perspectives that were either missed or may only make sense now in the context of the present and future. Past history can lead to “unraveling” assumptions by looking at their origins through fresh eyes and a new set of questions. While Spokane didn’t form a community-destination marketing arm until the mid-1970s, I made it one of my first tasks to interview people with several decades of concern for the community’s brand. They in turn led me to a number of studies and statistical reports produced as early as 1940 and brochures from the 1920s. This expedition back in time gave me a temporal sense of the community and data helped make connections. I was so excited at finding information in one couple’s basement that they gave me two of the old statistic summaries and an old brochure which I have among my mementos today. This digging back also involves dissecting the data. Current trends can be distracting and as Kaye notes, “they are not insightful, nor are they engines that feed innovation.” But they can be extremely information in hindsight because history isn’t linear, it is cyclical. The enemy of true insight and innovation is what Nobel Prize winner and Princeton researcher Dr. Daniel Kahneman calls WYSIATI – what you see is all there is – or our tendency to jump to conclusions on the basis of limited evidence or worse, illusory trends. Intuition and analysis are not mutually exclusive. They work together, although in my experience, some people, when they have no supportive analysis, will sometimes portray themselves as “intuitive” in an effort to ward off questions or concerns. Colleges with courses in community-destination marketing would be well advised to include the study of historical analysis right along side statistics and data analysis. Anyone looking to use data to create value and insight can begin by reading Red Thread Thinking. Clichés are the bane of journalists and good examples are articles or reports involving Duke basketball. Invariably they portray Duke as one of the most hated teams in the nation. Harris, a national polling concern, is probably ramping up its annual survey of the nation’s favorite college teams in advance of “March Madness” the results of which it usually releases during the regional round of the 75th Annual NCAA Tournament which begins in earnest a little more than a week from now. Duke’s men’s team has rated as the #1 favorite team in the nation in 9 of the last twenty years, #2 most favorite in four years and never lower than #3. I’m not certain if Harris ranks the most hated teams but applied to Duke the cliché of “most hated” is misleading at best. I always found it puzzling during my now-concluded 40-year career in destination marketing covering three different communities when people would ask me my favorite team. The home team of course or in the case of Durham, where I served for more than two decades, “teams” because both Duke and North Carolina Central University are based here. Even more puzzling was that so many of my counterparts in economic development failed to connect those dots, all the while holding their hand out to Duke for help facilitating projects. My philosophy was that when you represented a community, you went all in and that included allegiances to local teams. But then I remember that I chose to attend BYU over the University of Idaho in my home state, merely because the Cougars had won the National Invitational Tournament my senior year in high school, a period during which the NIT was the equal of the now much more highly regarded NCAA Tournament. The challenge was clear as I arrived in Anchorage in the summer of 1978 to complete the start-up of the community’s destination marketing arm. I found an immediate ally in Bob Rachel, the first basketball coach for the University of Alaska-Anchorage. We needed to diversify summer tourism to be more than an overnight stop for highly-escorted cruise-related tours and expand visitor-centric economic and cultural development across the other three seasons - including winter - something that made me “enemy number one” to a several individuals involved in Seattle-based tourism interests who felt they “owned” Alaska at the time. Over Thanksgiving weekend that year, I ventured out for each session with 2,500 other souls to Buckner Fieldhouse on the U.S. Army’s Fort Richardson. It was located across Ship Creek from my offices in downtown Anchorage and adjacent to Elmendorf Air Force Base from which I could break the monotony of long telephone calls by watching the almost vertical take-off of F-15s, often joined by a Snowy Owl perched outside the window. Today, the two historic facilities bordering downtown Anchorage are known as Joint Base Elmendorf-Richardson, not quite the same ring. Coach Rachel was soon gone, the victim of alleged recruiting violations. He became an assistant at UMass but died of cancer in 1985. But during his time in Anchorage, he was one of the first in the nation to jump on new NCAA rules permitting teams to add some exempt pre-season games. 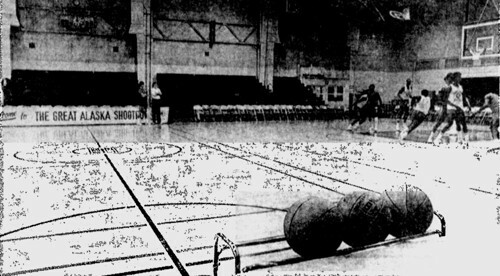 What was known as the Sea Wolf Classic soon became the Great Alaska Shootout and in 1983 moved to Sullivan Arena which I had played a minor role developing. The Shootout always drew many of the top teams in the nation. I met Bobby Knight that first year and watched North Carolina State beat Louisville in the championship game. In 1980 I met Dean Smith, the legendary coach of the University of North Carolina at Chapel Hill. Watching the Tar Heels beat Arkansas in the championship, it would still be nearly a decade before North Carolina would be brought to my attention as a place to live when I would be recruited to Durham to jump-start the marketing arm here. During the 1983 “Shootout” I met the late Jim Valvano whose “cardiac pack” team had won the NCAA Tournament earlier that year and North Carolina State beat Arkansas to win another title game. North Carolina won again in 1985. I don’t believe Duke played in the “Shootout” until the 1990s after I had been recruited to Durham and had already become friends with Coach K, winning it in 1995. By then Trajan Langdon, a star at East Anchorage High School was playing for Duke, followed by Carlos Boozer in 1999 who had played high school ball in Juneau. The Great Alaska Shootout continues to have a North Carolina flavor with UNC-Charlotte winning the tournament last November but the number of similar tournaments makes it difficult to draw the top teams as the “Shootout” did in the 1980s. Who was “my team” when I lived in Alaska and marketed Anchorage? The University of Alaska – Anchorage Sea Wolves, of course, even though those were the Danny Ainge years at BYU when during March Madness in 1981, he went coast to coast in the last eight seconds to beat Notre Dame. NCCU won a national title the year I arrived in Durham, Duke won three during my tenure marketing Durham and a fourth a few months after I retired. And the Durham home teams are still my favorites. Apparently, Republicans aren’t so opposed to “entitlements” after all. It reminded me of a paper I read that was published the month before I retired on the last day of 2009. The analysis was published by the Pew Charitable Trusts as part of the economic mobility project. Tax loopholes predominantly favor the wealthy, households that don’t need them. Beginning in 1974, two years after I graduated from college, the federal government launched a series of initiatives to incentivize personal savings including preparation for retirement beginning that year with Individual Retirement Accounts (IRAs) and followed by legislation to authorize 401 (k) plans in 1978. In 2010, these and other tax-favored savings vehicles cost the federal government at least $130 billion in 2010, and as much as $360 billion when homeownership incentives are included. However, those influencing the rules for these vehicles including lobbyists on behalf of special interests have successfully diverted 70% of the benefit to only the groups with the very highest quintile of income, people who had the means to save anyway. According to the Pew analysis, only 0.2 percent of the benefit goes to the lowest income group. Lobbyists also game the system on behalf of the beneficiaries of corporate welfare. For instance, just before I recently cut the cord entirely on subscription television, I watched as one panelist on a news program in North Carolina could hardly contain his disdain, calling it a subsidy for the state to require utilities here to invest in alternative sources of energy. Neither the panelist nor, apparently, the moderator was unaware that fossil fuel energy has been subsided by taxpayers nearly from its time of origin or that one of the primarily purposes of our country’s huge naval fleet today is to provide security to oil shipping lanes, free of charge. The only hypocrisy greater than the vehement opposition from oil and gas interests to granting even a sliver of those incentives to benefit alternative energy research is that of politicians and other sycophants such as that panelist. Personally, thanks to advice early in my now-concluded career from older members of my governing boards, I started almost immediately after they were created to have as much of my income as possible automatically diverted to these tax favored savings vehicles. The report documented that only one-third of workers under age 30 participated as I did compared to 63% of 45-59 year-olds. More telling was that while 80% of those making over $80,000 participated, only 50% of those did who earned $20,000 to $40,000. Participation fell to 20% for those earning less than $20,000. The CBO report found that about 17% of workers participated in defined-benefit or pension plans. Thanks to historical overviews such as one in 1991 by Patrick Seburn, an economist at the Bureau of Labor Statistics, we know that pension plans were first initiated in the U.S. for veterans during the Revolutionary War. One of the very first private sector pension plans was initiated by American Express in 1875, followed by many railroads and utility companies. By the 1920s, these plans were common and some were administered by labor unions. In 1921 Metropolitan Life Insurance Company innovated the first annuity contracts, making pensions less expensive. Businesses struggled with pension obligations during the Great Depression of the 1930s, often because they had been under capitalized which contributed to the evolution of federal Social Security as one of the first contribution-based retirement programs. However, retirement continued to be both/and and by the end of 1960, half of all private sector workers were covered by pension plans. The demise of these plans began in the Reagan era as documented so well by Rueters journalist and editor Chrystia Freeland in a book published last fall entitled Plutocrats: The Rise of the New Global Super-Rich and the Fall of Everyone Else. Following campaign ads in 1984 promising “it’s morning in America again,” pension-related retirement continued to grow for a few more years but soon met its demise as capitalist, public spirited and self-restrained CEOs gave way to winner-take-all leveraged buy-outs and savaged pension plans. We know now that far from being “morning” this period marked the beginning of a decline in upward mobility and the middle class and a gap in incomes. I contributed to and participated in both private and public sector defined-benefit pension plans as well as the tax-favored retirement plans that began in the 1970s. Many are jaded on the latter after having much of what they had saved or accumulated wiped out by in 1987 and after. I know it is vogue for some state governors, especially it seems those who are Republican, to go after pension plans today. But frankly, as illustrated by the lack of upward mobility and growth of the middle class over the intervening years, I’m not at all sure America wasn’t much better off when defined benefit pensions were nearly universal.